commonly, a mineral or organic substance, cut and polished and used as an ornament. Gems also are used as seals (items of assurance) and as talismans (good-luck charms). For birthstones, see month. system in which inherited symbols, or devices, called charges are displayed on a shield, or escutcheon, for the purpose of identifying individuals or families. official impression that validates a United States government document. It was adopted by the Continental Congress in 1782 and, with only minor changes in the design, remains in use today. In the center of the seal is an American eagle. marine mammal, Odobenus rosmarus, found in Arctic seas. Largest of the fin-footed mammals, or pinnipeds (see seal), the walrus is also distinguished by its long tusks and by cheek pads bearing quill-like bristles. ..... Click the link for more information. ), and the true seals, also called earless seals, hair seals, or phocid seals. More narrowly the term is applied only to true seals. The so-called performing seal of circuses is actually a sea lion. Pinnipeds have streamlined bodies, rounded in the middle and tapered at the ends, with a thick layer of fat beneath the skin. Their limbs are short and their feet are long and webbed, forming flippers. The sea lions and fur seals (family Otariidae) and the walrus (family Odobenidae) are able to turn their hind flippers forward for walking on land; they swim chiefly by a rowing action of the long front flippers. The true seals (family Phocidae) are unable to rotate the hind flippers. They progress on land by wriggling on their bellies, pulling themselves with the short front flippers; in the water they are propelled by a side-to-side sweeping action of the hind flippers. Nearly all pinnipeds are marine, and most inhabit cold or temperate regions. Some spend most of the year in the open ocean, while others inhabit coastal waters and spend varying amounts of time on shores, islands, or ice floes. Occasionally they ascend rivers. All pinnipeds leave the water at least once a year, at breeding time. In nearly all species the females give birth a year after mating, so that the births take place on land, just before breeding begins. The pups are nursed during the period, usually of several months duration, spent on land. Some species spend most of the year far from their breeding grounds; the northern fur seals make particularly lengthy migrations each year. Most pinnipeds have diets of fish and shellfish; many are bottom feeders, with physiological adaptations for deep diving. They have acute hearing and some, if not all, make use of echolocation (sonar) for underwater navigation. True seals are called earless seals because they lack external ear projections; they have functional inner ears. They have short, coarse hair, usually with a close, dense undercoat. Their color and pattern vary with the species; many are spotted. The pups of most species have fluffy coats of a light color. True seals are generally polygamous and gregarious, but most do not form harems at breeding time, as do the eared seals. Some species have definite migrations, but in most the seals spread out after breeding, singly or in groups, over a wide area of ocean. Some polar species migrate in winter to avoid the advancing ice; members of other species winter under the ice, surfacing through holes to breathe. most commonly seen seal of the Northern Hemisphere, Phoca vitulina. Harbor seals are found along coasts and in sheltered bays and harbors of North America, Europe, and NE Asia. crested earless, or true, seal, Phoca groenlandica, found in the N Atlantic around Greenland and the White Sea. In the spring, harp seals migrate southward to assemble in large groups to breed near the Newfoundland and Norwegian coasts. a true seal of the genus Mirounga. It is the largest of the fin-footed mammals, or pinnipeds, exceeding the walrus in size. ..... Click the link for more information. and hooded seal. There are two elephant seal species, one of the Northern and one of the Southern Hemisphere. They are distinguished by their immense size and trunklike snouts. The hooded seal, distinguished by an inflatable bladder over the snout, is found in the arctic Atlantic. Seals have been used by the Eskimo and other northern hunting peoples for food, oil, and hides. Commercial sealing has been largely confined to a few species, most notably the fur seal. Commercially important species of true seals are the harp seal, whose pups are valued for their fluffy white coats, and the ringed seal. The hunting of these seals is regulated by international treaties, and they are not in danger of extinction. The elephant seals were formerly hunted for oil and almost exterminated, but they are now protected and are stabilized or increasing in numbers. The monk seals have been greatly depleted by hunting in past centuries and their survival is threatened, although they are no longer of commercial importance. The Caribbean monk seal is believed by some authorities to be extinct. The ribbon seal and Ross seal are not much hunted; estimates of their populations have varied considerably, but they are not thought to be endangered. ..... Click the link for more information. , subphylum Vertebrata, class Mammalia, order Carnivora, suborder Pinnipedia. See B. Davies, Savage Luxury: The Slaughter of the Baby Seals (1971); V. B. Scheffer, The Year of the Seal (1972); J. E. King, Seals of the World (2d ed. 1983); R. L. Gentry and E. L. Kooyman, Fur Seals (1986). (also gland), a device to provide hermetic sealing in machine connections between rotating and stationary parts. This is accomplished using sealing rings, flanges, or other parts placed on the shaft or by means of various packings, such as asbestos, asbestos-wire, or fabric-reinforced rubber, embedded in the recesses or cavities of covers, housings, and similar parts. any one mammal of the order Pinnipedia, which comprises the families Phocidae (true seals) and Otariidae (eared seals). The true seals probably descended from primitive Mustelidae, whereas the eared seals apparently are descendants of primitive bearlike creatures. True seals lack external ears, and both pairs of limbs are modified into clawed flippers. The hind limbs of seals are directed backward and serve for locomotion in water; they do not bend forward on dry land and cannot support the heavy body. There are about 20 species, belonging to 12 genera. Seals are widely distributed but are particularly numerous in polar latitudes. Most species form rookeries on the ice during the mating and molting period. The waters of the USSR are inhabited by nine species (in six genera), of which the harp seal, Caspian seal, ringed seal, Pacific harbor seal, and bearded seal are of commercial significance. 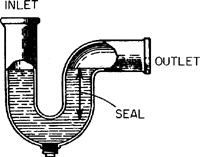 Any device or system that creates a nonleaking union between two mechanical or process-system elements; for example, gaskets for pipe connection seals, mechanical seals for rotating members such as pump shafts, and liquid seals to prevent gas entry to or loss from a gas-liquid processing sequence. A tight, perfect closure or joint. Any of various carnivorous mammals of the suborder Pinnipedia, especially the families Phoridae, containing true seals, and Otariidae, containing the eared and fur seals. 1. A device usually consisting of an impression upon wax or paper, or a wafer, or the inscription of the letters L.S. (locus sigilli), sometimes used in the execution of a formal legal document such as a deed or contract. In some states, the statute of limitations applicable to a contract under seal is longer than that for a contract not under seal; in most states, the seal has been deprived by statute of some or all of its legal effect. 2. An embossing device or stamp used by a design professional on his drawings and specifications as evidence of his registration in the state where the work, 1 is to be performed.